The University of Chicago had become a leading institution for biological research, especially in embryology. Lillie, who simultaneously served as chairman of the Zoology Department and Dean of the School of Medicine, encouraged study of a variety of different organisms and different developmental problems. Hamburger learned from Lillie and his lab group how to work with chick embryos (which were relatively easy to manipulate and had the added advantage of being available year-round) and in turn, taught them the techniques of microsurgery and tissue transplantation he had learned in the Spemann lab). The problem Lillie assigned to Hamburger grew out of conflicting results about the effects of damaging or removing developing chick limb buds on the further development of sensory and motor nerve tracts in the spinal cord. In 1909 one of Lillie’s students had destroyed developing limb buds by electrocautery and noticed hypoplasia (diminished development) of both the motor and sensory nerve columns that would have innervated that limb. By contrast, a student of Ross Harrison (1870-1959) at Yale found that extirpation of limb bud tissue caused hypoplasia only in sensory nerve columns, and that transplantation of limb buds to other areas of the embryo resulted in hyperplasia (excessive growth), primarily of sensory nerve ganglia. Lillie suggested that Hamburger re-investigate the problem, using the Spemann techniques of microsurgery on the chick to resolve the discrepancy. It was this work that Hamburger reported in his first major paper in English (1934) and that led eventually to the discovery of nerve growth factor some fifteen years later (see NGF, below). At Chicago, Hamburger could also indulge his interest in genetics, which Spemann had discouraged, by sitting in on a course in developmental genetics taught by Sewall Wright (1899-1998). 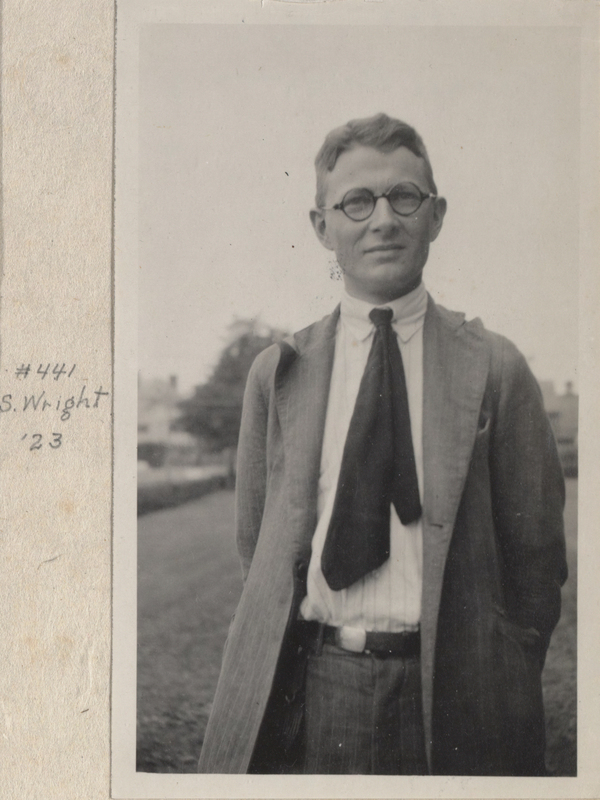 Having studied with William E. Castle (1867-1962) at Harvard (Ph.D., 1916), Wright was a leader in developmental and physiological genetics. His course provided an expert overview of the field in 1933. Although Wright’s research focused on patterns of guinea pig coat color expression, his lecture notes were wide ranging and included important references to Walter Landauer’s work on the developmental mutation in chickens, known as creeper (because it led to deformities in the legs which caused the animals to creep when it tried to walk). For the rest of his career, Hamburger retained an interest in developmental genetics and development of the creeper mutant in particular. Unfortunately, this mutation did not provide a very useful method for analyzing the relationship between genetics and development, and so did not form the basis for an extended research program in Hamburger’s career. With the advent of National Socialism and election of Adolf Hitler to the Chancellorship of Germany in 1933, Hamburger, who was Jewish, was forced to resign his position at Freiburg. Spemann wrote a sad letter to Hamburger indicating he was powerless to alter the decision. But, as Hamburger noted later, Spemann’s letter “made no mention of Hitler’s rise to power…he expressed his own personal regrets vividly and offered to help in finding a new job, but not a word of criticism of laws, nothing about his feelings about the momentous upheaval and the new Nazi regime.” [Link to translation of letter] Fortunately, Lillie persuaded the Rockefeller Foundation to continue the funding for another two years, while he continued his research and looked for a permanent job. Eventually in 1935, he joined the faculty of Washington University in St. Louis, Missouri, and became department chair as well as a research leader. First invited by Lillie to visit the MBL, and then recruited as a faculty member in the Embryology Course by Caswell Grave (1870-1944), chair of the Zoology Department at Washington University, Hamburger became a regular visitor to the lab, where he first taught in (1935-1940) and then directed (1940-1945) the Embryology Course (see MBL, below).